On this so-called FAQ page you will find various help and explanations for the use of this homepage. 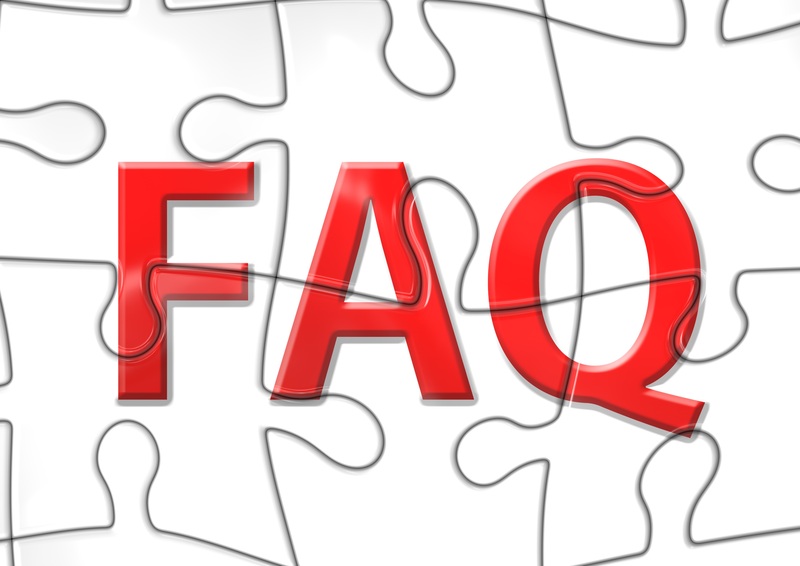 The term FAQ comes from the English and is called “Frequently Asked Questions”, which means translated in German as “most frequently asked questions”. We have divided these questions into six sections: registration, Convention, OnlineShop, Online-Catfish-Exchange, Room Sharing and Passenger Exchange. In the three stock market sections we explain the functioning of the online stock markets presented on this page. In the category OnlineShop we give some useful tips for handling our integrated OnlineShop. We have put together some information about this Convention under Convention and as probably the most important point, we have explained everything about registration registration on this website. How can I register on this page? On the website of the 6th International L-Number Days every interested person can register, no matter if he really takes part in the event or not. For the explicit participation it is necessary to purchase a conference package via the integrated webshop. To register for this page please go to our registration form. This form consists of several sections. Here you can select an avatar, i.e. a user picture. This will then appear in the list of participants and in the biographies of the speakers. Next, you can select whether your name should be displayed on this page, if not, it will be replaced by placeholders in the corresponding lists. Please enter your gender after the name. This is especially important for the room exchange. You can also specify whether your place of residence should be displayed in the list of participants. The data you enter in this section is for internal purposes only. The address data is also required for your profile for the shop. We need the date of birth to determine whether you are entitled to receive the “Youth” conference package. Please use the calendar symbol to the right of the input field. The telephone number is optional. This information can help us to reach you in case of urgent changes at short notice. Please read the General Terms and Conditions (AGB) carefully and confirm them afterwards. The confirmation of the newsletter is voluntary. If you are already a member of IG BSSW, please let us know and give us your membership number. Why should I register on this page? There are several reasons why it makes sense to register on this page, even if you are not participating in the International L-Number Days in Hanover. On the one hand the registration is necessary for the use of the integrated shop, on the other hand it is only possible to register users to actively use the Catfish Exchange, Room Sharing and the Passenger Exchange. Unregistered users can only read the ads and have to enter their sender data manually and fill in a Captcha code if they wish to contact us. Unfortunately this is necessary to limit the automatically generated spam volume. If you want to shop in our shop, you have to register on our website. Please use our registration form. You can also buy merchandising articles of the past L-Number Days in our shop. Please note that there are only small remainders of these articles. It may therefore be that we will not have all versions of the individual articles in any desired number available anymore. You have the possibility to receive the ordered articles either directly at the event, or immediately by shipping. You can also buy merchandising articles of the current L-Number Days in our shop. Please note that we create these articles especially for the event. They will only be produced at short notice for the L-Number Days in Hanover and will therefore only be ready for delivery after the event. We will produce a quantity of additional copies to be determined in addition to the number of ordered articles. We will have a sales stand at the event and offer all articles for sale there. We can therefore not guarantee if and how many articles will still be available in our online shop after the L-Number Days. You have the possibility to receive the ordered articles either directly at the event or to have them sent to you after the L-Number Days. This year we offer the conference packages for the L-Number Days again via our online shop. Please note that we do not send them out, but hand them over to the participants directly at the event. What is the Catfish Exchange? This exchange is offered by us exclusively virtually. We would like to offer here a platform for the exchange of plecos to the participants. Under the menu item Convention you will also find the platform for the Online-Catfish Exchange. This time this exchange is open to all users, not only the participants of the L-Number days. It serves the worldwide exchange of L-Numbers. At this point we would like to point out once again that the organiser, IG BSSW e.V. and its trading partners cannot assume any liability for this exchange. We only offer this online platform so that participants can get in touch with each other. How do I create an ad for the Catfish Exchange? /convention/catfish-exchange/To place an ad in the Catfish Exchange you have to register first for this page register. After your account has been activated, you can then create a new entry in the Catfish Exchange under the heading Participants with the menu item Place an offer at the Catfish Exchange. Then a form appears. Please fill it out conscientiously. After you have sent it, we will check the entries and activate it immediately. Please understand that sometimes it can take a while. What do the fields at the Catfish Exchange mean? The fields you have to fill in this form should be self-explanatory as far as possible, but still a few hints. Please enter the name of the genus here. Please indicate whether it is a scientifically described species (“empty”), one that is remotely similar to a described species (“aff.”), one that is very similar to a described species (“cf.”), or one that is not yet described. Either enter the species name or the variant name here. If this catfish has an L-number, you can enter it here. Please enter the number of available/searched catfish here. Please enter here the price you have for the catfish or want to spend. Here you can enter additional comments to this ad. How do I contact a supplier in the Catfish Exchange? To contact the provider of an advertisement from the Catfish Exchange, simply click on the name of the provider in the “Contact” column. You will then be redirected to a contact form. If you have registered as a user on the L-Wels-Tage page, the fields Subject, Name and Email will be filled in automatically. These are your sender data. If you then click on “Send”, the request you have written will be sent directly to the relevant provider. Where can I view the fishes from the Catfish Exchange? For legal reasons we cannot offer accommodation for the animals on site. So there will be no exhibition space for the animals. some decoration material so that the animals do not have to be placed in a naked, uncovered tank. For participants arriving by plane, we can offer to order in advance a plastic tub with a capacity of about 40-50 litres of water for a fee of ca. 10 euros. What is the Room Sharing? Inevitably, single rooms are usually more expensive than half a double room. In order that participants who do not have the opportunity to share a room with a friend, acquaintance or partner can also enjoy a cheap room, we have set up a special room exchange. Here you can either offer or search for half a double room. We hope to make it easier for some undecided people to participate in the International L-Number Days. You can find the Room Sharing under the menu item Convention. At this point, we would like to point out once again that the organiser, IG BSSW e.V. and its trading partners cannot accept any liability whatsoever for this stock exchange. We exclusively offer this online platform so that participants can get in touch with each other. How do I create an ad for the Room Sharing? To place an ad in the room exchange you must first register for this page register. Once your account has been activated, you can find the menu item “Place an offer at the room sharing” under the heading “Participants”, and thus create your ad. A form will then appear. Please fill it out conscientiously. After you have sent it, we will check the entries and activate your ad immediately. Please understand that it can sometimes take a little longer. What do the fields at the Room Sharing mean? Mark here if you are a smoker or a non-smoker. Of course a non-smoker can also share a room with a smoker or vice versa. It is especially important that both sides know beforehand and then make their decision. Enter the date of the day from which you search/bid a room here. Enter the date of the day until which you search/bid a room here. Here you can make additional remarks about this ad, e.g. if you like to snore, or if smoking/non-smoking is important for you, … . How do I contact a provider in the Room Sharing? To contact the provider of an ad from the Room Sharing Contact, simply click on the name of the provider in the “Contact” column. You will then be redirected to a contact form. If you have registered as a user on the L-Number Days page, the fields Subject, Name and Email will be filled in automatically. This is your sender data. If you then click on “Send”, the request you wrote will be sent directly to the corresponding provider. What is the Passenger Exchange? At such an international meeting the distances are quite a bit further, which leads to quite high individual travel costs especially in the age of increased fuel prices. In order to soften these somewhat, and to do also at the same time something for the environmental protection, we decided to furnish us again a Passenger Exchange. Here we want to offer you the possibility of free places for fellow travellers and also possibly for fish boxes to offer and/or to look for you. Of course neither we of the organization team, nor anyone from the IG BSSW e.V. can take over the liability for transport problems of any kind. We merely provide a contact platform. All legal aspects are the responsibility of the offeror and the searcher. The stock exchange is divided into the subcategories outward and return journey. If you would like to place an advertisement for both sections, please complete the form twice. You will find the Passenger Exchange under the menu item Convention. We would like to take this opportunity to point out once again that the organiser, IG BSSW e.V. and the persons acting on their behalf cannot accept any liability for this stock exchange. We exclusively offer this online platform so that participants can get in touch with each other. How do I create an ad for the Passenger Exchange? In order to place an advertisement in the Passenger Exchange you must first register for this page register. After your account has been activated, you can find the menu item “Place an offer at the Passenger Exchange” under the heading “Participants”, and thus create your advertisement. What do the fields at the Passenger Exchange mean? Enter the date for the trip here, we have already entered the most common dates. mark here if this ride is suitable for smokers or non-smokers. Of course, a non-smoker can also sit in a smoking car or vice versa. Above all, it is important that you know beforehand and can make your own decision. Here you indicate the number of places. Here you indicate whether you offer a ride for people or only for styroboxes with fish. Here you can briefly outline the planned route, so that you can see where you are driving for a long time and there may be the possibility to get on the train. How do I contact a provider in the Passenger Exchange? To contact the advertiser from the Passenger Exchange, simply click on the name of the advertiser in the “Contact” column.